I’m often asked about the timing of linux.conf.au as it generally occurs during January, or early February, when a lot of people in Australia and New Zealand are taking a summer break. My response is that the timing is perfect as it provides a much needed mental jump start at the beginning of the year, and always leaves me excited about the amazing things happening within our Open Source community. The 2019 linux.conf.au in Christchurch NZ, I’m very pleased to say, did not disappoint in this context. It easily stands as one of the best conferences I’ve been to in the last 10+ years, and I already can’t wait for next year’s conference in the Gold Coast of Australia. In addition Red Hat continues to sponsor the conference each year, and several colleagues had speaker slots. Suitably refreshed after our conference dinner, our Thursday Keynote was Nadia Eghbal from GitHub. Her talk Consider the Maintainer looked at some of the issues when projects we all rely on may have a single maintainer or a single committer. If your organisation or project deeply relies on other Open Source projects you need to look at how you can support them, otherwise there is a potentially huge risk if the maintainer walks away. 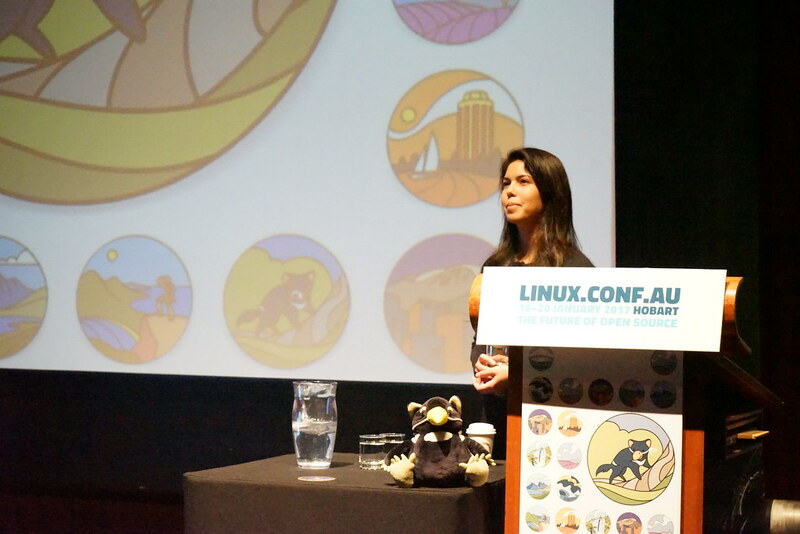 January 2017 was time for our annual pilgrimage to the latest home of linux.conf.au, an annual technical conference that migrates around Australian and New Zealand locations each year. Read more background on the 2016 conference in Geelong. This year nearly 600 geeks descended on Hobart Tasmania for 5 days of technical content, hardware hacking, networking and some ad-hoc dolphin watching. Once again we had a high level of Red Hat participation in the program, more details of which can be found on the Red Hat Community page.